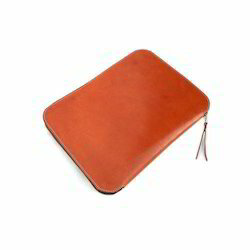 We are a leading Manufacturer of rose tanned leather wallet, ladies leather wallets, ladies brown leather wallet and chamois leather wallet from New Delhi, India. We are a quality conscious organization, offering a broad assortment of Rose Tanned Leather Wallet. 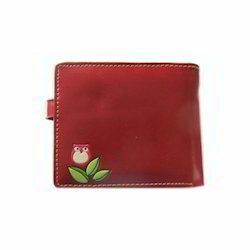 This wallet is widely appreciated for its perfect finish, optimum quality and elegant design. Widely used by ladies to keep their belongings, offered leather wallet is designed using optimum quality leather and modern technology in line with the industry quality norms. The provided leather wallet is available in variegated designs, sizes and patterns. Being a renowned organization in market, we are engaged in offering a trendy yet affordable range of Ladies Leather Wallets. The offered leather wallets are designed using optimum quality formaldehyde leather and modern technology in line with industry norms. Our provided leather wallets undergo different tests under the guidance our quality experts on different parameters. The offered leather wallet is used to provide a stylish look to the user. We are exclusively engaged in providing Ladies Brown Leather Wallet. The offered leather wallets are designed by our adroit professionals using premium quality leather and progressive technology in compliance with set industry norms. Our provided leather wallets are available in different sizes and designs as per the demands of our prestigious clients. 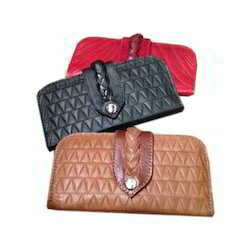 Clients can avail the offered leather wallets from us at market leading prices. 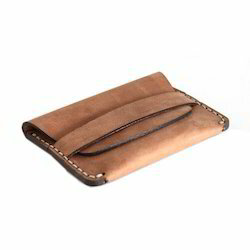 We are extremely engaged in supplying an attractive collection of Chamois Leather Wallet. The offered leather wallet is highly demanded by the clients for its soft, smooth and fades resistance nature. Our provided leather wallet is designed under the guidance of adroit professionals using the best quality leather and modern technology in line with industry norms. Moreover, this leather wallet is tested by our quality examiners no varied parameters so as to ensure its flawlessness.